Home ventilation systems are many and varied, ranging from simple trickle vents right up to mechanical ventilation with heat recovery. But why all the fuss when it comes to ventilation? You could be forgiven for asking why we need any kind of ventilation in our homes never mind a dedicated home ventilation system. Ventilation is important because without it, the air in your house would become stale, damp and generally unpleasant. Adequate ventilation ensures that the air inside your home changes frequently enough to avoid it getting stale. In the past it was never much of an issue because our homes tended to be quite draughty due to the way they were built. They had gaps in the fabric where services came through walls without being sealed, doors and windows tended not to fit very well etc. Because our homes were draughty all the nasty stuff like VOC’s (volatile organic compounds) in carpets and furniture, dust mites, smells from cooking and pets and water vapour etc. never got a chance to build up. So you home was actually quite a healthy place to be. The down side to all these draughts was that your house was harder to heat. However in the late 1980’s we started to insulate our cavities and lofts to a higher standard and fit better sealed windows and doors to help retain the heat. But these measures also reduced the amount of uncontrolled ventilation (draughts). For a while we loved it, as our homes retained heat for longer and so our boilers used less fuel. 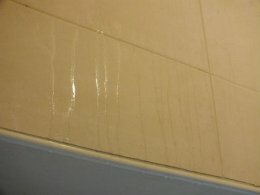 But there was a down side in the form of increased condensation, black mould and stale air. So what;’s wrong with just opening the window? Open windows would ventilate part of your home but it won’t offer you any control over the quality of the air you’re letting in and of course, you physically have to remember to open and close it. Not to mention the security risks of leaving windows open. On the face of it, ventilation sounds pretty simple but the most important word from the above is “control”. Unfortunately the majority of homes in the UK and Ireland have way to much “uncontrolled” ventilation and very little controlled ventilation! Uncontrolled ventilation is where you have natural ventilation in your home which you can’t turn on and off. For example draughts around ill-fitting windows, around pipes and services or around doors etc. Controlled ventilation tends to be a little bit of a grey area depending on who you talk to as some systems offer greater control than others. But generally most people will agree that controlled ventilation is ventilation achieved via a dedicated ventilation system which offers a controlled number of air changes per hour or per minute etc. Beyond that, different people will argue the merits of different types of home ventilation systems and which are best. Why do We need Ventilation in the First Place? In a perfect world, you’d have a house that was well insulated with no draughts. You’d be able to replace the stale, moist, low quality air in your home with fresh air from outside and not have to turn your heating on to warm up that fresh air. And believe it or not we can already do that, or very close to that, with mechanical ventilation and heat recovery systems, but more about that below. Read more about the benefits of home ventilation here. Regardless of whether you have a well-insulated house or not, if you’ve got draughts they will ventilate your home but they will also be cooling down your home making it harder to heat. You need ventilation to get rid of the stale air but the fresh air coming in is cool. Meaning you have to put your heating on to warm it back up. 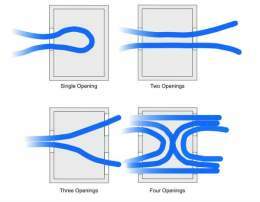 The secret is to seal up the draughts that shouldn’t be there (uncontrolled ventilation) such as gaps around doors, windows etc. and then install one of the many home ventilation systems available to provide controlled ventilation. Depending on the home ventilation system fitted you may even be able to filter the air coming into your home, pre-heat the air coming in and maybe even recycle the warm air already in your house and remove moisture, smells, pollen etc. There are lots of different ways of achieving controlled ventilation in your home. From trickle vents to MVHR (mechanical ventilation and heat recovery) and many others in between. Next is a series of links to individual articles where I go into each type in a little more detail. Just click on the orange links to go directly to that article. Definition of Draughts for Home Owners - find out what the different types of draughts are and why one is desirable and the other isn't! Whole House Ventilation - Find out what exactly is meant by whole house ventilation and how very minor changes can make a BIG difference. Attic Ventilation Fans - These are primarily provided to reduce the risk of condensation in your loft area. But you might be surprised by my opinion on these fans. 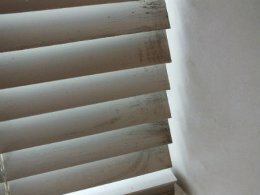 Get Rid of Your Old "Off the Shelf" Extractor Fans - Given what I’ve said above you might be surprised why I'd recommend getting rid of your old standard extractor fans. But have a read of this article and you'll see what I mean. 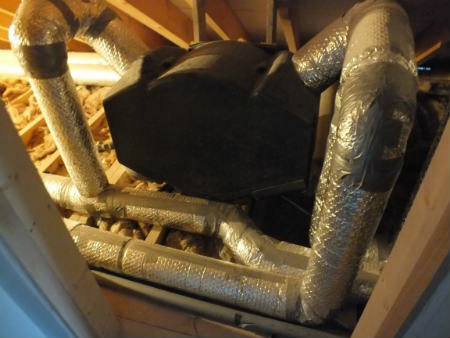 Why Loft Ventilation is so Important- If your loft ventilation is inadequate, possibly due to increasing the amount of insulation in your loft area, you can be leaving yourself open to a lot of issues. 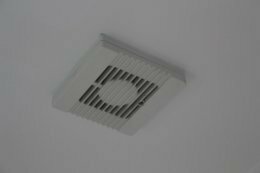 Positive & Negative Pressure Ventilation - these are the two main types of controlled ventilation fitted to homes in the UK and Ireland; both of which have their own advantages and disadvantages. a). 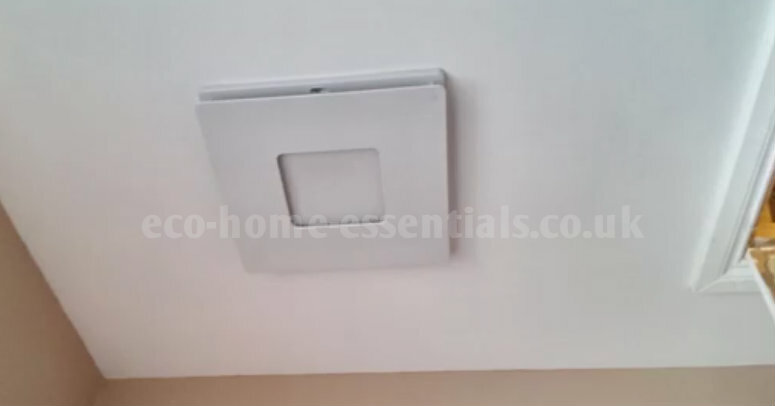 Positive Input Ventilation – This comprises of a small unit that is typically fitted in your loft area. It pushes fresh air into your home creating positive pressure within your house forcing out the moisture laden stale air. b). Negative Input Ventilation - Basically the opposite of the positive system, pulling air out of your home and creating negative pressure. Keep reading as my opinion may surprise you. 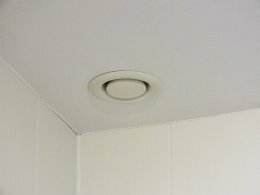 Humidity Sensing Extractor Fans - If you don't already have one of these in your bathroom you've missed a trick. They're a real no-brainer. Mechanical ventilation and heat recovery – This is the probably most technically advanced of the home ventilation systems. They ventilate your house and recover the heat from the expelled air before reusing it by adding it to the fresh air coming in. 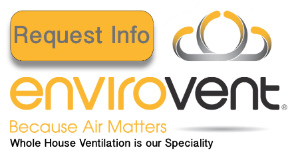 You can get more details on MVHR systems in my MVHR article here. Before deciding which of the home ventilation systems is right for your particular situation, you should read through the above articles where you’ll get more in-depth information on each type of ventilation system and see what the pros and cons of each are. Home Page. › Home Ventilation.